Joy De Vivre Design: What Happens When a Design Student Has Too Much Free Time? What Happens When a Design Student Has Too Much Free Time? They spend it doing bad things to their wallet! It seems like every time I have a semester that does not offer me any interior design classes, which seems to be too frequent lately, I spend all of my pent up design energy on my own home. It is so much cheaper for me to make design boards for pretend homes! I thought this was a fun addition that would be a more unique look. 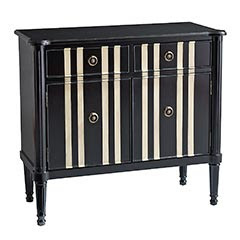 Unfortunately they were out of stock so I will have to wait a couple of weeks to bring it home. I will never buy shredded cheese again! 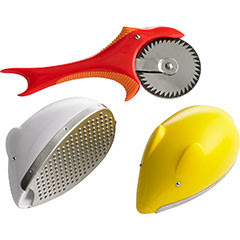 I will only purchase it in block form so that I can use this fun mouse cheese grater. 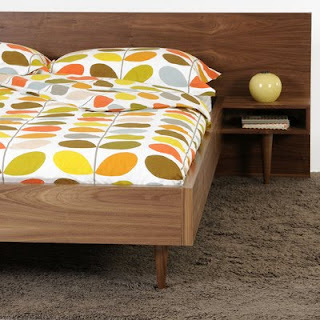 Now I am dreaming of the Orla Kiely line of bedding and I really think this would be perfection in my guestroom. I love love love that table. Very chic and fancy. that table is soooo cool! I love it! I would have never guessed it was from Pier 1! Oh, and I die when I see Orla Kiely bedding. It's gorgous!! !